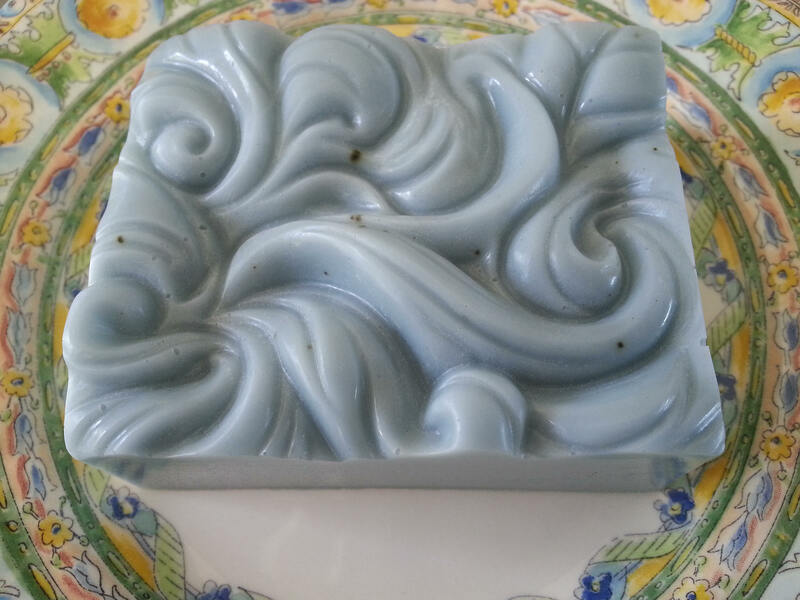 Gorgeous Prussian Blue Matcha Mint Bar Soap - Great Present or Gift - Perfect for Bath and Shower! A fine bar of glycerin soap, infused with moisture-rich grapeseed oil and matcha tea. In a lovely, speckled Prussian blue color. 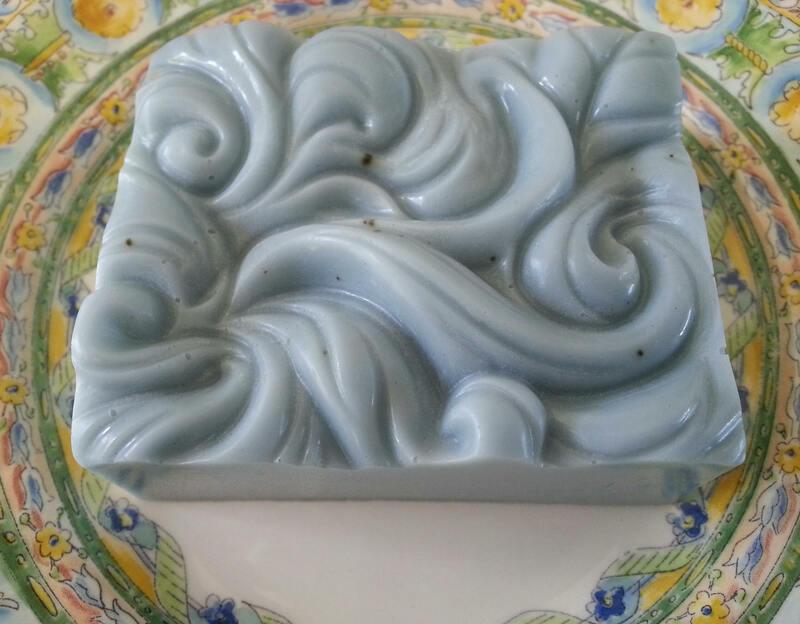 Scented with peppermint essential oils. 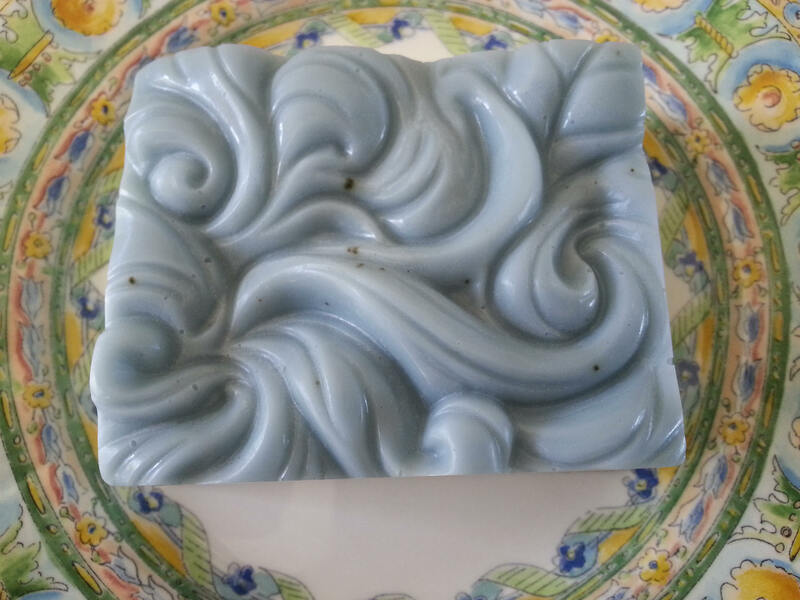 A nice, hefty soap that feels good in the hand. Swirled pattern on top. Ingredients: Coconut Oil, Palm Oil, Safflower Oil, Glycerine (kosher, of vegetable origin), Purified Water, Sodium Hydroxide (saponifying agent), Sorbitol, Propylene Glycol (made from vegetable glycerine), Sorbitan oleate (emulsifier), Oat protein, grapeseed oil, matcha tea, and peppermint essential oil.